This high-density residential tower of 24 storeys will be known as NAIA. A project with a careful urban design and high-quality architecture that meets the needs of City Council, residents and clients. The development draws inspiration from its coastal location. Inspired by the shifting coastal dunes, the form is articulated by the dynamic shifting of curved balcony forms. The rhythm of movement up the facade is designed in response to the curved shapes created by the erosion of wind on sand. Soft patterns and changing light and shade result. The Project Manager company Eastview together with the developer Jun Xin Oceanscape commissioned the architectural visualisations of this new housing project designed by TVS architects. The architectural visualisations will be used for the marketing of the dwellings. Marketing which will start from now on a sale stand which will include the pictures made. On this occasion, in addition to the renderings, we take care of the interior design of the apartments. Through some style boards, the clients indicated the one that best suited to the target of the dwellings. We test several settings until finding the best points of view. At the start to market off plan, we searched for beautiful renderings that catch the attention of the potential buyers. The characteristic architectural visualisations of this type of developments were added these three striking visualisations. With the approved points of view, we finished adjusting cameras and carried out the lighting tests. For the interior renderings, we opted for a daytime lighting that will merge real photographs of the surroundings. 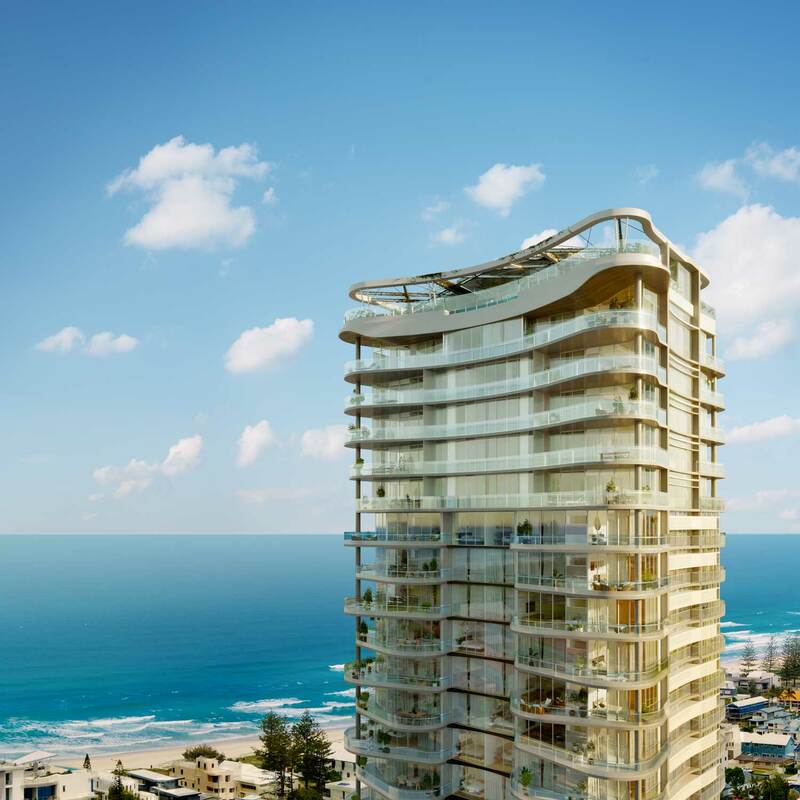 We are working on some architectural visualisation of new developments in this same Australian Gold Coast. Hope to post them soon!